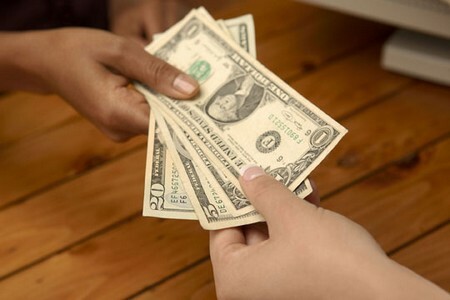 Coping with the twin problems of extracting money due from slow paying customers and generating cash for the expansion of growing enterprises is a major problem facing independent businesses, but increasingly one of the solutions to these difficulties is seen in the practice of factoring. 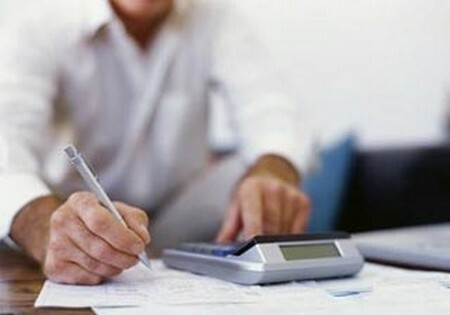 An indication of the rising demand for this particular form of financial management is given by the growth of 24 per cent in business recorded last year by members of the Association of British Factors, taking their total business to more than £7.07 billion compared with £5.68 billion in the previous year. Factoring at its most basic is the selling of trade debts, though it is now a very much more sophisticated service. In its modern form it began to develop about 20 years ago but its initial ex­pansion was held back by a reputation as being a ‘last resort’ and companies using factors were often thought to be in difficulties. It took the industry a long time to shake off that image but its real benefits have been understood for some years now. Far from being a last refuge for a shaky business or a means of un­loading bad debts it has become a valuable tool of financial management, an essential element in the juggling act of achiev­ing a balanced financial structure. For an expanding, fast growing business the improvement in cash flow achieved by quick transformation of debts into money in the bank can be a major advantage. Some extent of the difference can be gauged from the esti­mate that an average company’s trading debts can be as much as 25-30 per cent of sales at any one time. The benefits of releasing those debts are obvious. Factors provide four main services: the chief form is non­recourse factoring, which means that the factor takes full responsibility for debts and agrees to make no claim on the company if the debtor fails to pay. Naturally, therefore, the factor chooses very carefully which debtors are taken on to avoid being used as a dumping ground for bad or doubtful customers. Usually up to 80 per cent of the debt is advanced to the client company immediately – or when it is required – with the balance, less charges, being paid either when the debtor pays up or after an agreed period of time. The second form is recourse factoring where the main differ­ence is the factor does not take on responsibility for the debt. If the debtor fails to pay, the client company has to reimburse the factor. Recourse factoring is often used by companies with many customers with small debts or firms whose customers are of very sound financial standing. Critics sometimes say that recourse factors are less choosy about the debts they take on be­cause they do not shoulder responsibility for the debts, but this is definitely not the case with reputable companies in the field, such as Kellock, who are not members of the ABF. The bulk of ABF members’ business is in non-recourse, but in fact their growth in recourse business last year at 32 per cent was much more rapid than non-recourse. Another fast-growing area is invoice discounting, and Associ­ation members increased their business in this area by 31 per cent to £3.06 billion. This service is cheaper than the full recourse or non-recourse factoring services and advances cash on the debts of selected customers, who are not aware of the involvement of a factor. The client company maintains the sales ledger, collects its own debts, and has no debt cover from the factor. The fourth major service offered by factors is taking over re­sponsibility for sales ledger administration. The theory is that factors have advanced computer systems and experienced credit control personnel, enabling them to provide services that a growing business may not otherwise be able to afford and at the same time free company staff to concentrate on sales and production. Assessment of creditworthiness, sending out invoices and re­minders, and collecting the cash are also services provided by factors. Costs for these services are levied on two levels – discounting and service. The discount charge depends on the amount of cash drawn against the total invoiced amount and is usually 2 or 3 per cent above current clearing bank base rate and effectively should not cost much more than bank overdraft charges. Service charges depend on the work load assigned to the fac­tor by the business but are usually made as a percentage of annual company turnover, ranging from 0.75 per cent to 2.5 per cent. Factoring is available on export business too, and can be es­pecially valuable to new exporters who may be concerned at potential costs and problems of collection and administration. Factors who specialise in export business maintain overseas links, especially in areas such as creditworthiness assessment and debt collection, which can be very helpful. Banks have a strong connection with factors; indeed they own many of them, and this has led to special services being devel­oped such as the Lloyds Bank Factoring Guarantee Scheme in which it works with the subsidiaries of Lloyds Bowmaker, Alex Lawrie Factors and International Factors. Under this scheme the bank’s branches introduce customers, in the main small and medium-sized firms, to one of the fac­tors. If the assessment is positive the factor guarantees the firm’s bank overdraft up to 65 per cent of approved trade debts. In addition, the factors themselves may provide a further 15 per cent, giving the opportunity for the enterprise to obtain finance for up to 80 per cent of the debtor book. A major bene­fit for the business is that the scheme combines the flexibility of a bank overdraft, where interest is calculated on a daily basis and only on the amount outstanding, with the traditional factoring service. Factoring is not the ultimate solution for all financial prob­lems, indeed it is no substitute for proper financial manage­ment. It is not a remedy for short-term cash flow problems nor is it necessarily appropriate for all firms or for business start­ups – though it is by no means unknown for new firms to bene­fit from factoring. It is, however, a valuable tool which can bring considerable advantages when properly used.